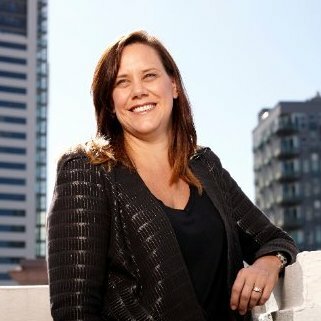 Consulting giant KPMG Australia has announced the appointment of Karen Halligan to lead its new practice that will help clients navigate the changes and challenges in the media, publishing and advertising industries. Halligan will lead a specialist team that forms KPMG Media Value Advisory in Sydney and Melbourne that will help clients face a number of issues affecting the media value chain, including dealing with technology changes, disintermediation and measurement. It will also help clients understand how to optimise revenue streams and maximise return on investment. Clients will include large Australian and international organisations such as advertisers and publishers. Halligan brings over 20 years’ specialist experience in media buying, strategy, and optimisation, having most recently been the managing director at Zenith. She has also held roles at MediaCom, UM, Bohemia, Carat, Southern Cross Austereo, and Coca-Cola. Carmen Bekker, partner of KPMG Customer, Brand and Marketing Advisory, said: “With Australian ad spend valued at over $15 billion, the media value chain is more important than it has ever been to our clients. “KPMG Media Value Advisory is responding to a global need by providing advertisers, publishers and agencies with advice and direction in an increasingly challenging environment. Paul Howes, partner-in-charge of KPMG Customer, Brand and Marketing Advisory, added: “The launch of Media Value Advisory is a direct response to the boardroom needs of our clients. Commenting on her appointment, Halligan said: “The Australian media industry had been my passion for over 20 years, [and] there has never been a more exciting time to be a part of this industry as it continues to evolve.